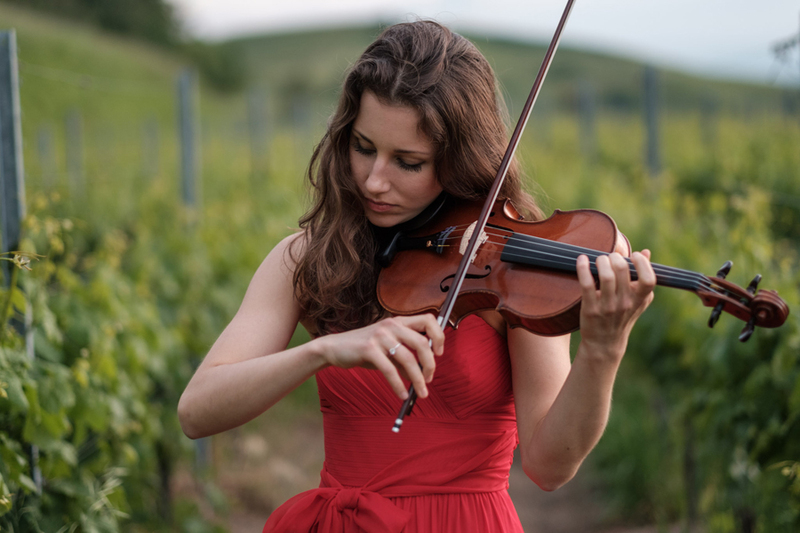 Currently a masters student at the Royal Academy of Music in London Johanna enjoys a busy schedule performing as a recitalist and concerto soloist around Europe. Highlights of the current and the upcoming season include solo engagements in England (Epsom Symphony Orchestra and Sevenoaks Philharmonic Society), Spain (Amber Youth Orchestra), Germany and Brazil (USP-Filarmônica of the University of São Paulo), recitals in the established concert series Musik im Gosslerhaus in Hamburg, as well as invitations to international music festivals including the Petworth Festival in London and the VI. Evmelia Festival in Greece. In 2016, the German violinist won 2nd prize at the International Competition Cittá di Padova in Italy and got invited back to Italy for several recitals. She was awarded 1st Prize at the Internationale Frühlingsakademie Neustadt competition (2014) and 3rd Prize at the LIONS-Musikpreis competition in Germany (2016). 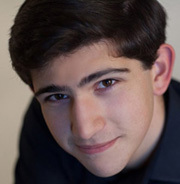 The young violinist already shows an impressive performance record: as a soloist with orchestras including the Deutsche Staatsphilharmonie Rheinland-Pfalz, the Norddeutsche Philharmonie Rostock (broadcasted on Deutschlandradio Kultur), the Orchestra di Padova e del Veneto and the Croydon Symphony Orchestra (London), as a chamber musician on the Brahms-Festival in Germany and the AURORA chamber music festival in Sweden (2015) to name but a few, and in countless recitals in Germany, England, Austria in Italy; most of them with her permanent duo partner, Polish pianist Aleksandra Myslek and Austrian pianist Markus Schirmer. Further masterclasses provided her with the opportunity to give concerts with Benjamin Schmid, Xenia Jankovic and Peter Bruns. Being a member of the London charity Talent Unlimited, the previous scholarship holder of the Feldmann Kulturell Foundation and the Hans Kauffmann Foundation in Hamburg, Johanna has led young orchestras such as the International Regions Orchestra Baden-Württemberg, the London Young Sinfonia and the Junge Norddeutsche Philharmonie, which played in the prestigious Elbphilharmonie in Hamburg just a while ago. Further projects featuring the NDR Hamburg and Norddeutsche Philharmonie Rostock provided her with the opportunity to play under the baton of conductors including Zubin Mehta and Thomas Hengelbrock. 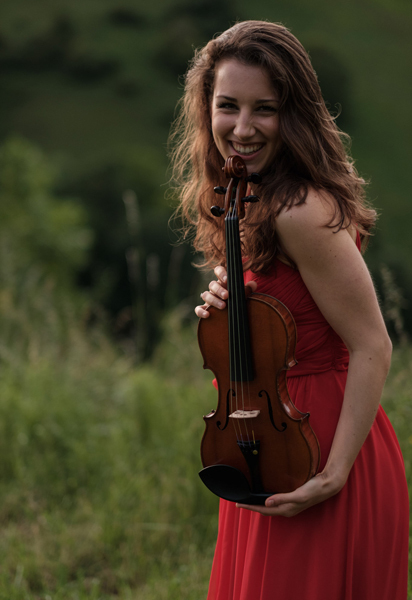 Born in 1993 in Hamburg, Germany, Johanna started learning the violin at age six. 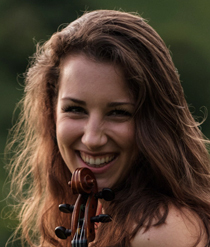 Being a prize winner of the Ethel Kennedy Jacobs Award she is currently studying for a Master of Music degree at the Royal Academy of Music, London, with Prof. Rodney Friend, receiving further supported by the Oscar and Vera Ritter Foundation in Hamburg and private sponsors. In addition to her regular coaching, she has taken part in masterclasses with Stephan Picard, Tanja Becker-Bender and Petru Munteanu and received further tuition from Erich Grünberg and Baiba Skride. She is performing on a violin by Joannes Francesco Pressenda from 1833, Turin, kindly loaned to her by the Royal Academy of Music in London.